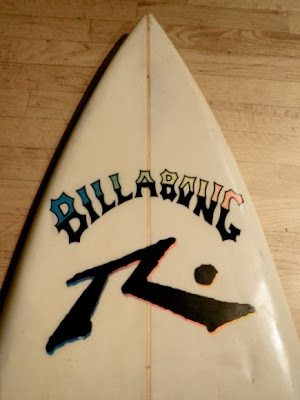 : Board Collector: Where are they now Part 2. The rivaly between Occy and Tom Curren through the 80's was one of the most exciting the sport has seen. Two differnt personalities, two very different surfing styles. Tom's style was that of a fulid, smooth and graceful natural footer and Occy being a powerful, radical, agressive goofyfoot. So too they rode two very different distinctive boards. Occy's Rustys where flat, thick with hard, sharp, angry rails. Tom's were smooth with a subtle pair of Al's famous hips. Rangi's broken nose was impressive, but an anonymous Californian collector has written to me with pics of his collection of Occy and Tom's competition boards from the 80's. 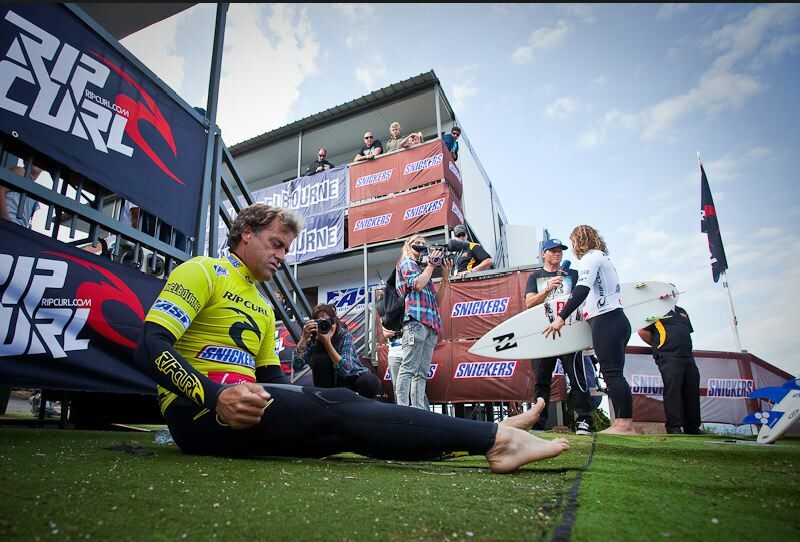 Wow- thats an important slice of surf history right there! Rivalries are one of the most compelling aspects of professional sports. In the 1980s, Australia’s Mark Occhilupo and California’s Tom Curren were surfing’s prime example, drawing huge crowds just to see them duel. Their early-1986 showdowns were legendary. In March at Burleigh Heads, during the final leg of the 1985–1986 ASP World Tour, they met in the semifinal of the Stubbies Classic, which induced major controversy because one of Occy’s best waves was grossly underscored by a napping judge. That wave would’ve put Occy into the final. 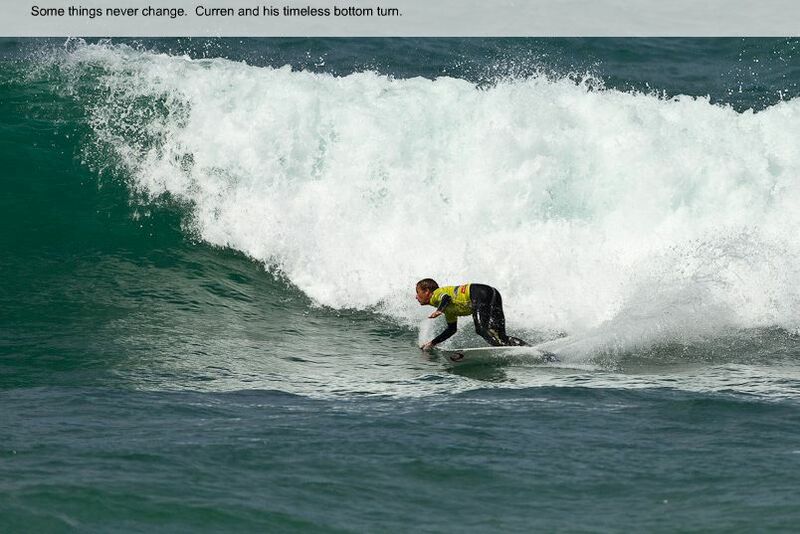 But Curren won the heat and the event, and the judge resigned. A month later, on Easter Sunday at cranking Bells Beach, Curren earned his first world title by decisively beating Occy in the semifinal, in one of the greatest heats ever. 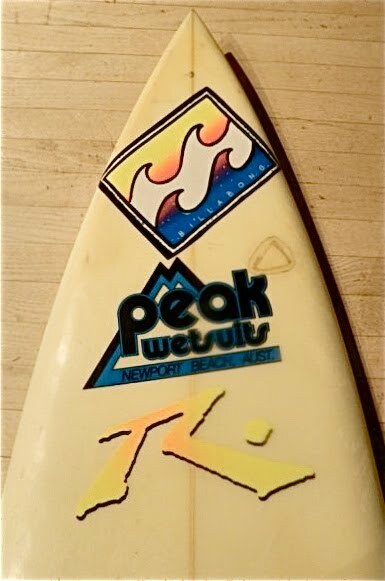 Following Bells, Curren won the Marui Japan Open in May, the Gotcha Pro in Hawaii in June, plus the Lacanau Pro in France and the Fosters Surfmasters, both in August. He’d boycotted the two South African contests in July, which meant all four 1986/1987 ASP season events he’d entered, he’d won. After Bells, Occy was seemingly left for dead. Things changed at the Op Pro in Huntington Beach, a venue known for its Occy-Curren battles. Curren won the event in 1983 and 1984, Occy in 1985. “It was nearly automatic that Curren and Occhilupo would turn in the best performances of the meet,” Matt Warshaw wrote in The Encyclopedia Of Surfing. And 1986 was no exception. Peter Drouyn, who invented the man-on-man heat format at the 1977 Stubbies Classic, had suggested to Op Pro contest director Ian Cairns the concept of a competitor’s priority in a heat being decided by paddling around a buoy moored in the lineup. It was precisely what Occy needed August 31 during his semifinal with nemesis Curren. With three minutes to go, the drama grew thick. Both surfers caught waves in a two-wave set, rode them well all the way to shore, and began paddling back out. Their scores were basically equal—the heat could’ve gone either way. And since Occy had caught the first wave, he was about twenty yards ahead of Curren. 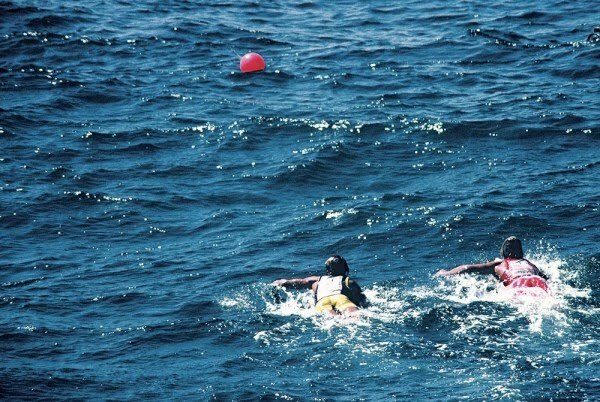 Whoever reached the buoy first would win the heat. Somehow Curren made up ground on the way back out, and suddenly the two were paddling furiously side-by-side. Paddling, kicking, and giving it their all, the crowd roared in excitement. It looked like they rounded the buoy at the exact same time, though Occy just barely ahead edged Curren out. With priority, he caught a bomb, advanced to the finals, and won the contest. 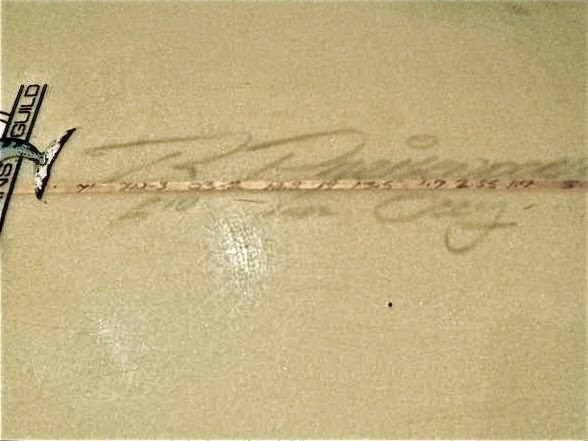 RUSTY PREISENDORFER SIGNED FOR OCCY 6'10 X 18 1/2 X 2 1/2 ROUND TAIL. This board was recently found stashed underneath a house on the noth shore. 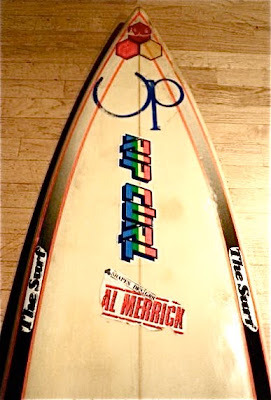 This is the board occy rode at rocky point during the mid 80's. 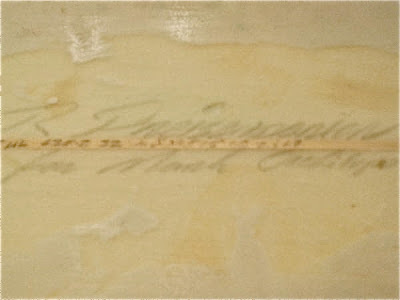 RUSTY PREISENDORFER FOR MARK OCCHILUPO SIGNED ON STRINGER 6'3 X 19 1/2 X 2 1/2 THRUSTER BOX RAILED SQUASH TAIL. 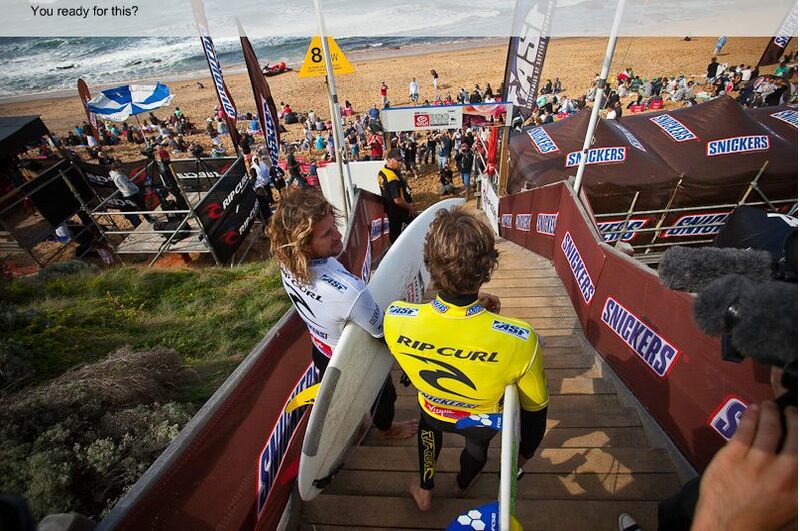 In a nice foot note to this posting Tom & Mark have just gone up against each other at the Rip Curl Bells Easter Pro.